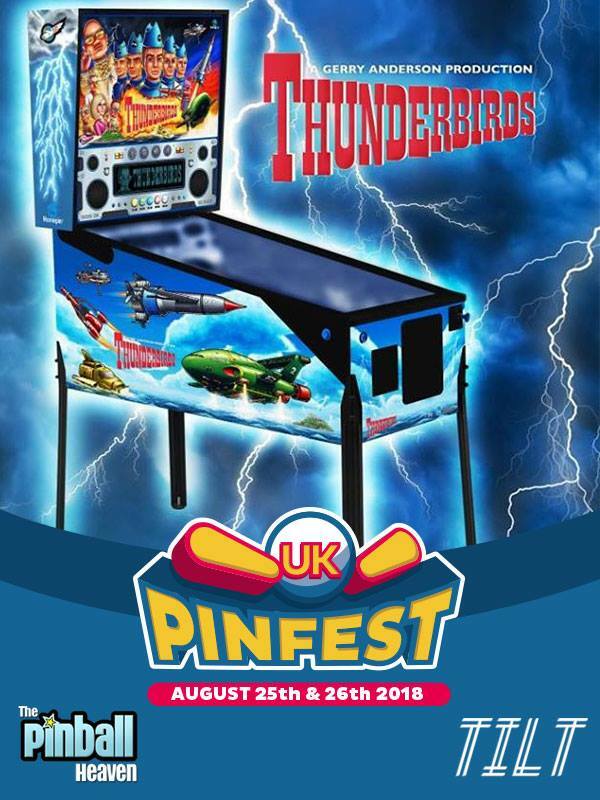 The UK's only dedicated pinball event. Being held in Daventry. Where the UK Pinball Party used to be held. Main days are August 25th & 26th but there is an evening session on Friday 24th for VIP ticket holders. Up to 100 pinball machines set to free play! A couple of machine announcements for you. Euro exclusives. 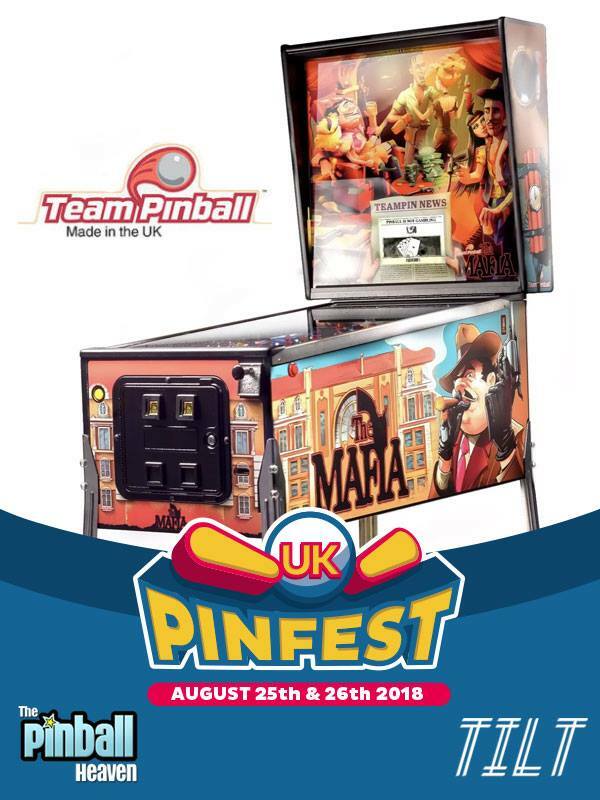 The Mafia at UKPinfest! 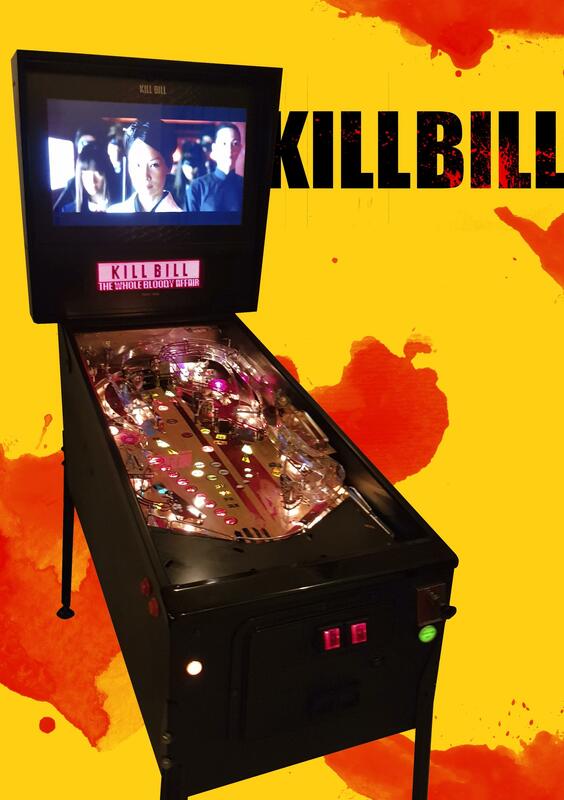 We are pleased to announce the world exclusive reveal of the first pinball machine from https://www.facebook.com/teampinball/ Get to play the machine and join in on the Q&A with the people behind Team Pinball! Hoping to get up there on the Saturday. Are there any Jersey Jack Pinball tables in the line up? I will be there Saturday. Only open in the day I think till about 5. The evening is usually an organised event. I could be wrong so check out their website. Will catch up with you Saturday Macro. The VIP ticket covers all the day and evening sessions. Only 150 available. There are 40 left. If they're not sold out, the remaining evening slots will be sold at £10 on the door. Full times on the website. Anyone else coming along tomorrow? Did any of you guys come? All feedback welcomed. Got quite a bit on pinballinfo. Will tweak things a bit for next year. No, I couldn't make it in the end. Bank holiday commitments. I heard it was a good event. Will it be on the Bank Holiday weekend again? Yes I went and really enjoyed it. Disappointed there was not a ghost busters pin to play as looking to buy one. Also you need more venders selling stuff and a few retro machines in the back room would be good. Will be going next time. Yes, I was wandering around all weekend, wearing a UKVAC T-shirt on Sunday just in case. Dialed in was good from the new pins, Spectrum was 'interesting' on the older ones (always liked that, think it's been to most shows) - quite a few new pins from companies I'd never heard of, so future looking good! Yes, looking at it being on the bank holiday next year. Think it works well for most people. Especially those helping out and have to travel long distance. Gives them a chance to get packed up on the Sunday and chill out with a couple of drinks before leaving on the Monday. Steve, I had a few arcade machines in one of the smaller meeting rooms. It's a dedicated pinball event but just thought I'd bring a few of my bartops along too for something a little different. Out of respect, I don't want to turn it into a retro event and tread on others toes that operate in the area. I also approached a few pinball vendors but could only secure the one. You should have introduced yourselves.